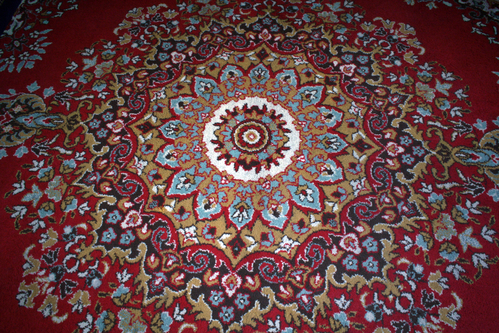 The best oriental rug cleaners on Maui, we are here to serve you. ​Welcome to Maui Rug Cleaning & Restoration. We offer every and all services that you need for your Oriental or oversized rug. ​We offer the best rug cleaning service on Maui. We pickup and drop off so we take care of all of the hard work! Do you have an Oriental rug that you need cleaned? Call us today and we will get your rug cleaned right away. Maui oriental rug repair is to here to help you repair your amazing expensive rugs. 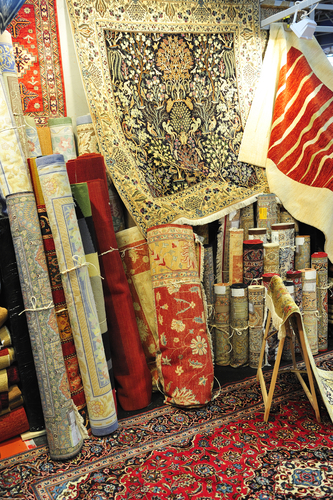 Don't throw them away, let us restore and clean your chinese rugs. Do you need to remove a stain from your oriental rug? We specialize in removing stains from oriental rugs and carpets. We can get out any stain weather it is from your kids or your pets! How much is my rug worth? Is this a question that you have asked yourself? Our experts are standing by to give you an honest estimate of what your rug is worth. Call us today for your free appraisal. Protecting your oriental rug is very important. Do you ever wonder how to protect your rug? Simply by taking very good care of it. Let us do all the heavy lifting. We will clean your rug, restore it and give you advice on how to preserve it. ​Need your carpets cleaned? You have come to the right place. We are the carpet specialists for the job. We can do whatever needs to be done to make your carpets looking brand new again. ​Do you have a Chinese rug that needs to be cleaned or restored? The Horton boys are standing by to help you with all of your rug cleaning needs. How to clean upholstery? We have just the solution. We clean your upholstery with a very safe process that cleans it at the deepest level while still protecting your upholstery. ​Do you need a rug or carpet specialist? Our staff is standing by to answer any questions that you may have about cleaning your carpets, repairing your carpets, cleaning your rugs and fixing your rugs. When Maui residents are looking for a professional carpet and rug cleaning service, they have to consider several factors to ensure that they select the right company. The most important factor to consider is how the company approaches such cleaning service before they can make their choice. Rugs can be precious and very expensive. Because of the huge sums of money invested in them, it is important that there is proper maintenance of the rugs and carpets. If you do not clean them thoroughly, they can become unhealthy and they can even wear down easily. In choosing the best Maui carpet and rug cleaning professionals, homeowners often consider many factors. The first thing they consider is that the type of cleaning education such cleaners have. This assertion is very important because many people have to contend with cleaners who do not have any form of formal training as far as cleaning services are concerned. Such people rely on techniques that were passed to them by those who had that education. The danger of engaging such people is that most of the techniques are obsolete. This means that many of them are not relevant to the modern day cleaning services. It is important that you opt for cleaners with the best professional training and certification. The best way to ensure the best is to engage those that have updated themselves in the cleaning industry; they are likely to use new skills and modern technology while undertaking their cleaning business. You are going to see the differences in the quality of work they provide. The advantage of engaging the services of certified technicians is that they are likely to use the most recent tools and that means that they are going to do better services that those using outdated knowledge. Secondly, they are going to ensure stick to the ethical standards while carrying out the cleaning services. They know how best to treat your rugs and carpets, they know the type of treatment that damage them if administered to them. That is why you can always get the best when you engage the Maui Carpet and Rug Cleaners. They are educated, well trained, certified and use state of the art knowledge while carrying out that duty for their clients. Homeowners also consider the type of facility rug and carpet cleaners use. 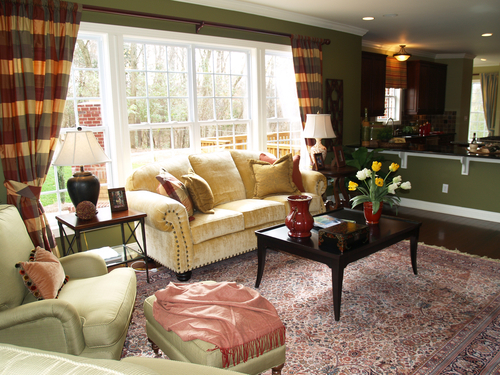 To ensure that there is a thorough rug cleaning professionals allocate enough spaces. Without space, you cannot ensure a thorough rug and carpet cleaning. The space is equally important for that heavy vacuum equipment that would be used for the cleaning services. You need spaces for immersion, drying treatment as well as hanging racks and so on. You do not expect non-professionals to provide all these latest cleaning facilities. You will get them from the perfect cleaners. This type of work requires reputation; you can get that reputation from highly trained professionals. They know how best to provide their professional services and handle different situations that may arise in the business. They can earn reputation through their professional conduct, which you cannot get when you get the services of non-professionals. Maui Carpet and Rug cleaners can offer professional and ethical services to all their clients. 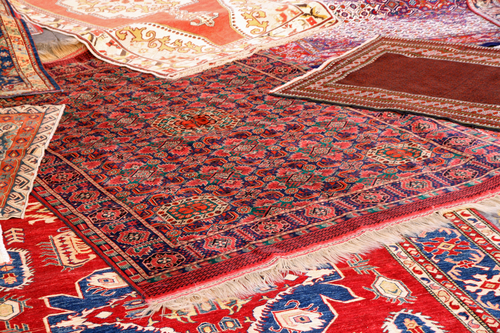 Maui Carpet and Rug Cleaners know what it takes to treat large pieces such as Persian and Oriental rugs. They know that such rugs require special equipment. Not only that, it would require a special facility for its drying and spaces for inspecting. 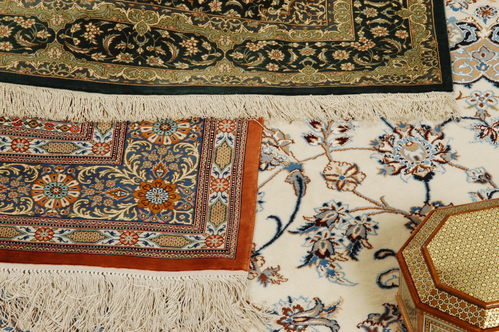 Because of the huge cost, they provide repair services for rugs and carpets and these are done in house. They carry out different types of repair services and so on. This type of service is by no means an easy one. As such, it demands the logistics, and not every cleaner can afford that. This is the major reason Maui Carpet and Rug cleaners are the most suited for this type of work. They use the correct materials in the cleaning and treating the rugs. They have to inspect the piece thoroughly to identify the soil types that are present in it. They will also try to find out whether there are any other types of damage that are present in it. This will guide them in determining the best way to get it treated. Fabric needed to be treated thorough and this means that they must not tamper with the color quality. Maui Cleaning and Restoration have been in service for a very long time and they know what it takes to provide the highest quality services to their clients. They provide different kinds of cleaning services including oversized rugs and oriental rugs and so on. The company provides all kinds of rugs cleaning services in Maui. When you engage their services, they are going to take care of all the hard work involved in the process such as picking up the rugs and washing them and dropping them back after cleaning. They make the whole process easy and simple for you. All you need to do to enjoy their services is simply to pick your phone and contact them. They would be at your service once you get in touch. They are the best Oriental rug cleaners in town. If you have an oriental rug that needs to be cleaned, do not hesitate in getting in touch with them. A simple call to their office would get the whole process started. They will soon get in touch when you call them. 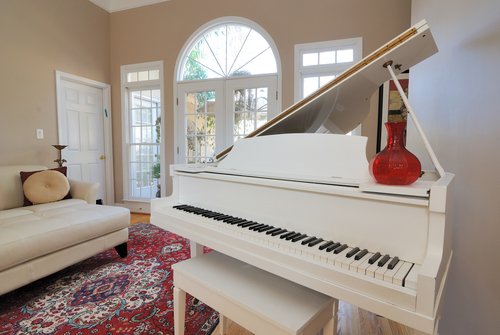 Apart from cleaning services, they provide rug repair for all types of rugs including oriental rugs. You are going to get the best from them because they use the latest technology in repairing and restoring your oriental rugs. You can derive value from your expensive rugs again. 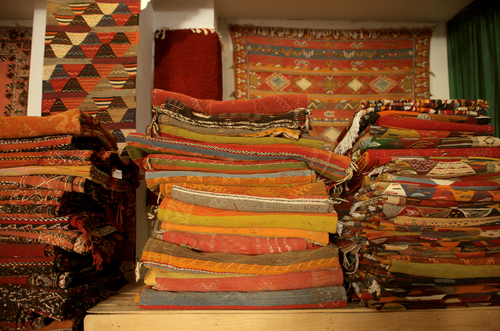 Instead of throwing them, you can reclaim it by allowing them to restore your rugs for you. Whether it is Oriental or Chinese rugs, they are going to carry out a perfect restoration service to your satisfaction. 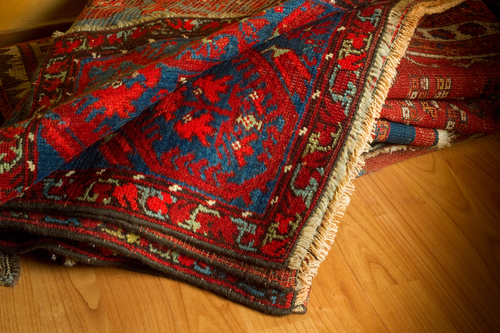 Perhaps the best thing that you can do for your rugs is to remove stains from them when you observe one. Maui Carpet and Rug Restoration can remove all kinds of stains. 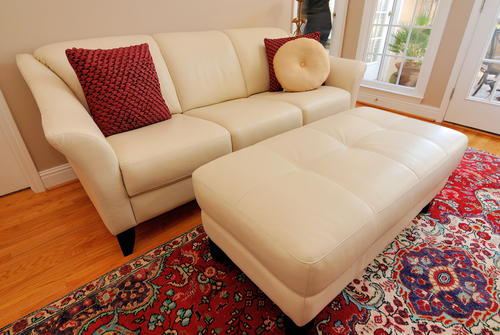 As experts, they can remove every type of stains from your rug and your carpets. Whatever might be the cause of the stain, be sure that the experts would ensure that they are completely removed from your rugs. Do you want a rug appraisal? You can approach the company for the accuracy and the right appraisal for your rug. They can easily help you to determine the worth of your rug. Whenever, you consult, the experts are always available to assist you with the correct worth of your rug. 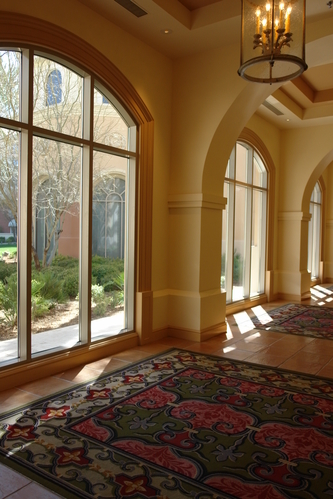 It is important that you look for a company that can adequately protect your oriental rugs. The company knows the best way you can protect your rugs today. They know how best to take good care of their rugs. They do everything required to protect your rugs and the best way to preserve it. Here are some of the reasons you would always look for the company when you want professional cleaners for your carpets and rugs. The first and most important reason is that various professional and endorsement bodies certify the company. This shows that the company workers have undergone rigorous trainings. It is likely that the company would stick to the best ethical standards. This one important factor sets them apart from most other providers in the city. Moreover, the company maintains liability insurance and that is how they ensured that their workers and customers are adequately protected. This means that nobody should worry or exercise any fear about the safety of the work they do for them. Another thing that makes them great is their appropriate pricing. They give appropriate and competitive pricing. They do not believe in giving low prices and they do not over price their services. Their costs are competitive and it is always within the industry standard. You should know that a reputable company should stay in business to provide their excellent professional services and that is why it is not always the best to opt for the cheap service providers. If you check the Better Business Bureau, you would see that the company was accredited. This simply shows that the company maintains the highest ethical standards and those they are still committed to that ethical standard in providing their services. This simply means that you are safe and protected by dealing with them. You are not going to lose anything by engaging their services. Reputation is the hallmark of rug and carpet cleaning business. If you check for their reputation online, you are going to observe those attributes that set them apart from the rest. Their workers are well behaved and very courteous. Their customer support is superb. They make sure that the problem is explained to you in such way that you can easily understand it.The company would ensure that your carpet and your rugs are well protected. It is very important that you protect them because it would cost much to buy another one. To ensure that they are protected, you have to engage the services of a professional cleaning company that would clean and treat them for you. If you get anybody to do that for you, the rugs or carpets may not recover from wears and tears that would follow afterwards. When it is time to be cleaned, allow professionals to do the heavy lifting and clean the rugs using the most appropriate cleaning technique. They would restore it to its original value. Not only that, they are going to provide you a professional advice on how best to preserve them for the future use, this is why they are regarded as rug experts. When you engage the right professional cleaners, it would last for a very long time. If you are a Maui resident and you want your carpet to be treated by experts, you have to visit Maui Carpet and Rug Restoration. They are called the carpet specialists for reasons. They are educated on how to treat carpets and they have experiences that are spanning for many years. They are not new to this business; they have all it takes to deliver professional cleaning services. They are going to make the carpet become new. They are going to prolong the lifespan of the carpet. They are tested and trusted Maui cleaners. Irrespective of the type of rug you have, whether it is Chinese rug, the professionals would not only restore it for you, they are going to clean it for you as well. They have boys who are well trained, qualified, and certified. These are always on the standby waiting for your call. When the call comes, they would do everything for you. They are always available 24 hours of the day and seven days in the week. They use the right tools to clean and restore your carpets for you. If you want the best for your carpet, look for their services today. The Horton boys are the best in town as far as carpet and rug cleaning and restoration are concerned. Cleaning upholstery is not an easy thing to do for many Maui residents. With the company, everything will become easy for you. They have the solution to upholstery cleaning. Because they are professionals, they would adopt every safe measure in cleaning your upholstery. They would clean to the deepest level and will protect your upholstery fabrics at the same time. They are going to do fantastic and professional services for you. If you are looking for the rug and carpet specialist, you have come to the right place. They have well trained and supportive department that would pick your call at anytime that you call them. They can do different things for you such as carpets repairing, carpet cleaning, rugs cleaning as well as fixing all carpets and rugs problems. They are always available to attend to your services. Put a call to them and see the factors that make them unique cleaners.